‘Tis the season for seasonal, part-time and temporary workers! Starting in the summer and continuing through the holiday season marks a time when many Americans pursue seasonal work in industries like construction, agriculture, leisure and retail. And while you may not be thinking about applying for that part-time holiday job quite yet, major retailers are already recruiting seasonal workers. According to the Los Angeles Times, J.C. Penney Co. and Kohl’s Corp. have already begun posting help-wanted ads for their busy season which starts with back-to-school time. This is weeks to months earlier than in previous years thanks to a strong economy and a tight labor market. Just how many people in the U.S. obtain a seasonal job in retail during the holiday season? In 2016, retailers across America hired an extra 570,000 workers for their busy season. With all of the information circulating about the IRS recommended paycheck checkup and workers already securing holiday jobs, we’ve received some questions concerning how the Tax Cuts and Jobs Act may impact withholding amounts for individuals working seasonal, part-time or temporary jobs? 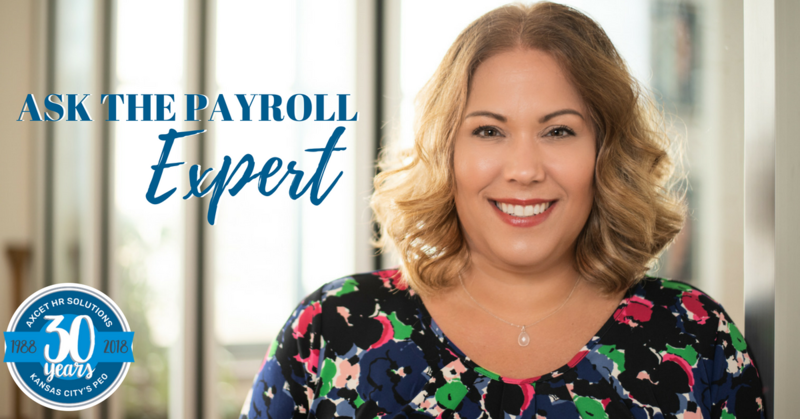 Jo McClure, Axcet HR Solutions Director of Payroll Administration and Certified Payroll Professional (CPP) provides expert advice in this Q&A. The Tax Cuts and Jobs Act was passed by the Trump administration and went into effect on January 1, 2018. This Act made sweeping changes to the Internal Revenue Code, affecting income tax brackets as well as allowable personal tax deductions. For these reasons, the IRS has released perform a "paycheck checkup" to ensure proper withholding by the end of this year. Does the Tax Cuts and Jobs Act impact seasonal workers? Yes, in fact it is suggested that part-year and seasonal workers should pay extra attention to the tax law changes. According to the IRS, any changes to withholding amounts made by a part-year employee affect each paycheck in a larger way than an employee who works year-round. Therefore, a paycheck checkup and any adjustments should be made as soon as possible when starting a seasonal job. Contact your tax professional to ensure your withholding is accurate. However, if you don't have a professional, you can use the IRS Withholding Calculator. This tool helps identify what your proper tax withholding should be throughout the year and can help taxpayers with part-year employment estimate their income, credits, adjustments and deductions. While a W-4 worksheet does not differentiate between part- and full-year jobs, the IRS Withholding Calculator does. In fact, it can even account for a taxpayer who works more than one part-year job. You can find the IRS Withholding Calculator here. 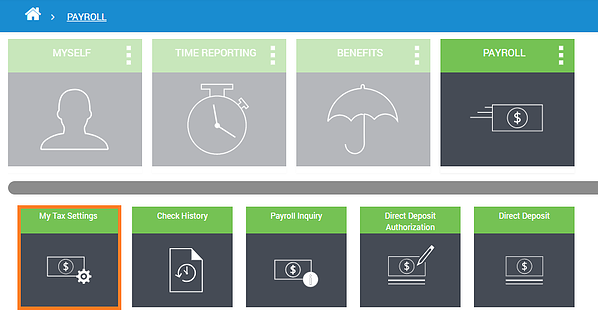 Our Instant Axcet Employee Self Service has all the information you need to be prepared! 1. Sign in at prisme.axcethr.com/phree/cmd/login. If you have not yet registered, click "Register" and fill in the required information. 2. 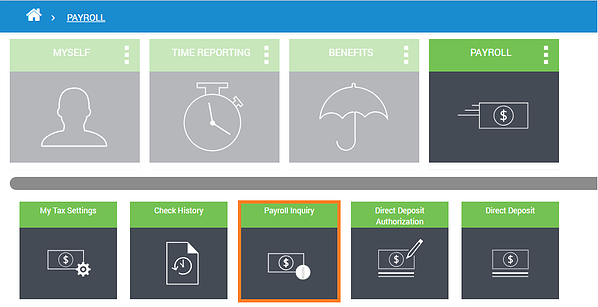 Under the Payroll menu, select Payroll Inquiry. This information will give you your year-to-date figures, including taxes already withheld. This is useful information for your tax professional as well as for the IRS withholding calculator. 3. Adjust your tax withholdings under My Tax Settings. Simply select your marital status, change your exemptions or additional withholding, and hit Save. These changes are immediate and will affect your following check. For more information check out How the Tax Cuts and Jobs Act Affects Businesses. We're always here to help! For questions regarding your Employee Self Service, feel free to call your Payroll Administrator. 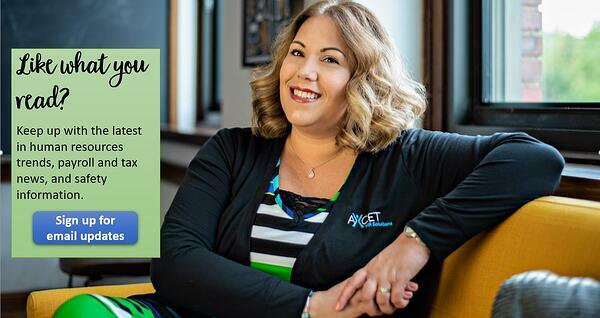 At Axcet HR Solutions, we manage human resources, benefits, payroll, safety and workers' compensation duties for small- to medium-sized business across the Kansas City metro area.